Life is one long weekend! Can take holidays all the time as don’t need to clear it with the boss! Friends know if they call on weekdays including evenings I am working and often don’t answer the phone! Texting is better but will respond in a break that suits me! I do have the odd lunch with the girls (like maybe once a month, like today in fact) but I add the 2 hours out of the office onto the end of my day. Every day is a work day! I only take Saturdays off! If I plan a holiday (what holiday?) I have to work twice as hard to make sure I earn enough to have the time off and while I’m on holiday I still have to do some work and respond to emails! THIS IS A REAL JOB!!! Welcome to my writerly life! And I LOVE it!!! Well I have returned after a lovely week in Wales at my old house and am fired up and ready to write. I have so many memories from that house of mine near Llanberis. It all started off so very sad when I lost Lee, the first night we were there (now over ten years ago) but I made good memories in the end. I learned to write seriously and it is the perfect place for that. And I made the very best of friends there. So it was wonderful to go back, catch up, be there. It was also so nice to go there with my new beau and to fill it with laughter and new memories. It all felt natural, it didn’t feel wrong or sad, just a new chapter in this story we write of our own lives. In the words of a Bon Jovi song: This is the story of my life and I write it every day... and that’s what we do, isn’t it. Who will be with us when we write the last page? I live in hope now for the future here in Essex although once Wales and that breathtaking landscape is with you it never leaves. I hope someone wants to buy that little house soon; it is now being put back on the market. It’s a lovely house but it feels a little unloved and so I want it to be the home of someone else who can give it the love and care that I can’t now. It will be a little sad when I finally walk away for the last time, but as Bon Jovi also says (why am I quoting him today, I have no idea!) … every new beginning is some beginning’s end. One chapter must close for the next to begin. I will be brief this morning and will resume memoir posts next week, but I am looking forward to an event this afternoon, aptly named Afternoon Tea With The Wyatts. It’s organised by the University of the Third age (U3A) in Rayleigh, Essex (close to where I live) and is ticketed to members. My dad, my brother and I have been invited to each hold a session when we will talk about our lives in publishing. Dad, as some of you know, has worked for IPC on comics like 2000 AD as well as being a Walt Disney artist so Mickey Mouse comic amongst others. He also co-created the BBC Poddington Peas. Website LINK. My brother is also Disney-trained, but he does other kinds of art now mostly and you find him on Facebook here: LINK. He does the SeaQuest books that are hugely popular. And then there’s me, I write things. As you know! So I have a Powerpoint and some readings lined up from the first thing I ever had published (Jigsaw), my winning Bath short story and we will end with Lydia from While No One Was Watching. Did I mention how much I love my writerly life? Work Hard … Don’t Rush It! I’ve been an incredibly busy time and I seem in great demand, which can only be a good thing but it does find me having to turn down work from Cornerstones and even some private clients with impossible deadlines. Yikes. But I never do anything half-heartedly and a good critique and good editing takes time. I invest in what I do with everything I have. 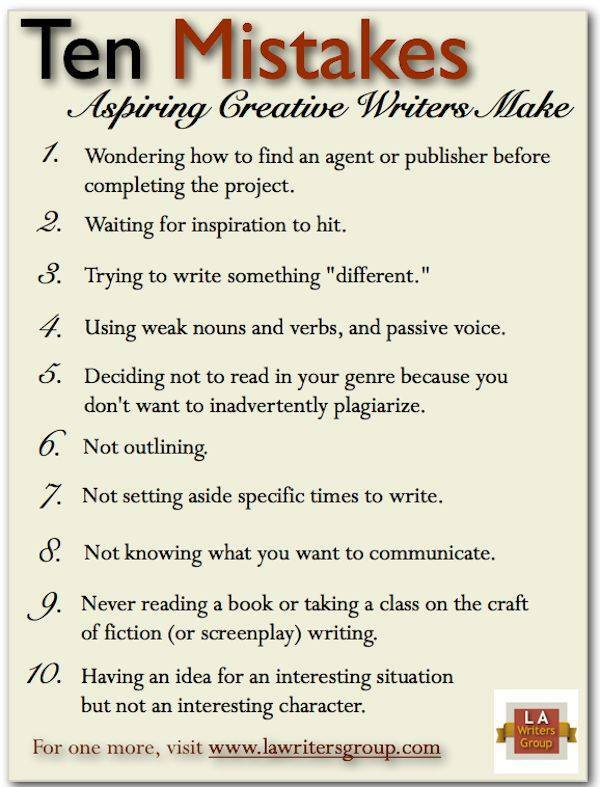 Writing is a craft and it takes time to get right; a lot of valuable time. So I am always wary if someone wants editing and it has to be ready like yesterday as they plan to publish it themselves in 2 weeks’ time. Unless it’s because they were let down by an editor I question the sense of urgency, and inevitably such requests seem to be for long novels of like 150K, which is a novel and a half and will take some time. Don’t rush things. All that work so far, and then a rush to find an editor. No. Any good editor will be in demand and may quote something like 4-6 weeks (or a lot more in some cases) for a lengthy project, because they will have other work lined up first, so bear that in mind. And also factor in time to work on the edits when they come back and it is also worth having another edit or follow-up if a fair bit of work has been done, and if the plan is to self-publish, to have someone proof-read before uploading. So my advice: don’t rush the process. I love my editing work, although I still see myself as a writer first, so I would rather turn down work if I have to, so the writing never suffers, and nor does the editing or critiquing, I never rush either of these. Because I have my little break next week/weekend with the launch of Unthology 7, I am determined to have some time off, four whole days (yay!) but it has meant working into the evenings so I can get the next critique emailed next Wednesday and go away guilt-free. It’s about getting the balance right. But I never rush it. If not ready, I will hold on emailing that report. But it’s how I roll. I have always been a hard worker. It’s going to be a break I need with all these evenings and Sundays are also filled with work, this week after a full day at the London Short Story Festival! I also have to meet a client in London Tuesday night to talk about his novel. It’s a full life, but know what? I love it.